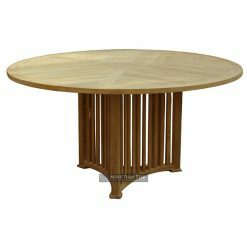 Do you want to have a round table with unique designed? 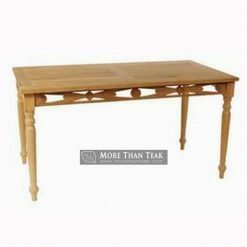 Do you want to have flexible dining table which can match with your small dining area? 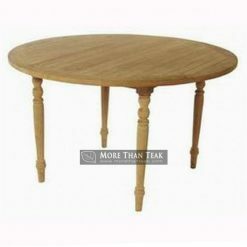 Complete your house and enhance its look by using this round extending table. 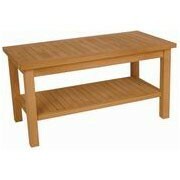 It serves as good piece of furniture that can be placed both at the garden and the room. 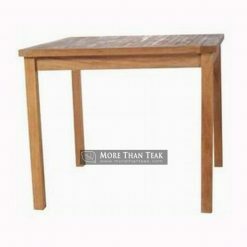 The table come from teak wood is also good to provide extra sitting in the patio. 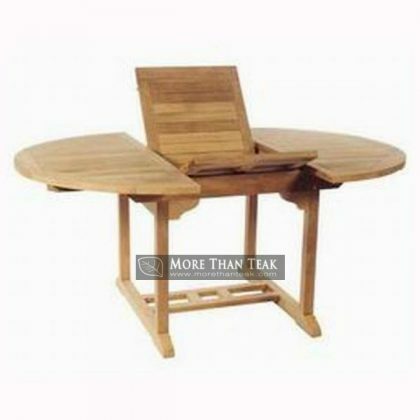 The company’s team make hard efforts to create a table which happens to be top Indonesia teak products. 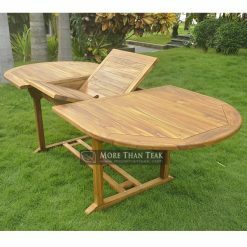 The main material of the table is undoubtedly a good class of teak wood which known to be the best material in furniture manufacturing so far. 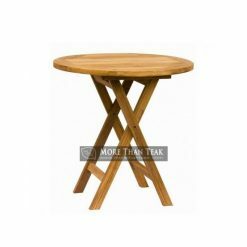 Its process to be a table is concerned from the beginning to the last because it is selected and processed professionally with the appropriate machines. While the majority of round table takes much space since the length and width takes the same amount, this table takes less the space due to its fold-able middle part. When you like to accommodate more people, you just need to unfold the center and fold it for little use. 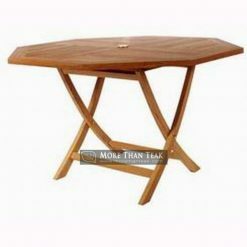 Ensure to only get the real and reliable products at our factory.